While not an original Larkspur Fire Department Hand Engine, this restored 1850 Austrian-built Hand Pumper is the only one in Marin County. Full story coming. 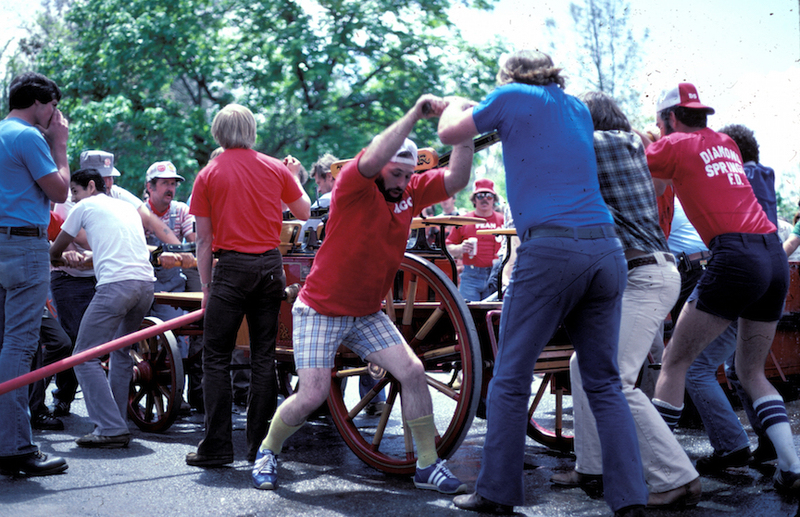 The Larkspur Hand Pumper in action in the early 1980's at the Columbia Fire Muster at Columbia State Park in Tuolumne County, California.